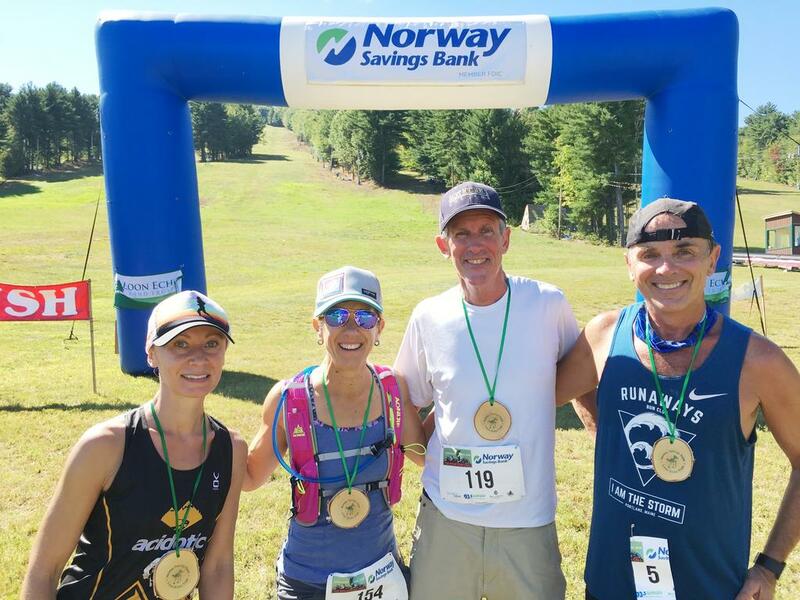 Mountain Challenge Winner Ewa Johnson, left, and fellow challenger John Keller, far right, flank Pam and Phil Marshall, the first two hikers to complete the 18th Annual Norway Savings Bank Loon Echo Trek. The events were held Sept. 16. Johnson, of Sweden, posted the winning female time in the new 8.4-mile Mountain Challenge race with 2:08:42. Keller, of Gray, posted a time of 2:18:03, The events were held Sept. 16 at Pleasant Mountain in Bridgton.